She understands the value in creating 'win-win' projects. A lot of people say they're going to do something but never follow-up. Michele says she's going to do something and she does it!" Ms. Gajderowicz is the Chief Executive Officer & Managing Partner of The G2 Golf Group, as well as the President of Academy Golf, Incorporated. She is an entrepreneur who has been a business strategist and golf industry executive for over 30 years. The recipient of numerous national and regional awards, including her most recent, The Philadelphia Business Journal's 2018 "Women of Distinction" Award, Michele has a Master’s Degree in Management with a concentration in Marketing & Business Administration. One-time Vice President & Chief Marketing Officer for Empire Golf Management, she has had responsibility for multiple golf properties stretching from New York to Florida. 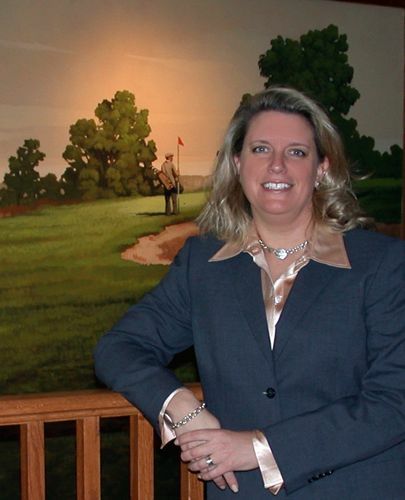 Michele has significant experience in MAPS strategies & media development, including golf television. In 2008 she wrote and served as Executive Producer of "The Red Zone Challenge;” a one-hour, made for television pilot. Shot on-location at Reynolds Plantation (Greensboro, GA). The Red Zone Challenge was nationally available via Comcast SportsNet and was premiered at Merion Golf Club (Ardmore, PA). Michele founded and hosts, "The Academy Consortium," and "The G2 Speaker’s Series” and is herself frequently asked to speak. She has been quoted in Crain’s New York Business, Golf Magazine, GolfWeek, The Philadelphia Business Journal and many other publications. Today, Michele advises golf professionals, equity & non-equity clubs, and industry executives in matters of strategic positioning, growth & retention strategies, and operational opportunities with a specific focus upon academy development. Additionally, she works with the business community to develop customized, golf-centric events, tournaments and travel opportunities which are designed to promote stronger corporate leadership, team-building and charitable investment. Finally, Michele is a Member of the Golf Writers Association of America, various Chambers of Commerce and a variety of business associations. She is actively dedicated to a number of philanthropic organizations, and plays to a 9 index.